Guildford Orthodontic Centre recommends that our patients wear custom-made sports mouth guards any time they play sports during their braces treatment. When it comes to keeping your orthodontic appliances and your mouth and face safe if you play sports while wearing braces, having a sports mouth guard is very important. Stock mouth guards are the least expensive, and can be easily found in your average sporting goods store. The main benefit of these is the price; they’re very inexpensive. But this is one of those situation where the old adage 'you get what you pay for' is very true. Stock mouth guards are typically come in one standard size, and there isn't much you can do to adjust the way they fit. They can be very bulky, and can make speaking and even breathing somewhat difficult. More importantly, they do very little to actually protect you. Boil and Bite mouth guards are also available at most sporting goods stores. They're inexpensive, and provide a better fit, and somewhat better protection, than stock mouth guards do. Boil and bite mouth guards are made of a thermoplastic material that you place under hot water to soften, and then put in your mouth to shape around your teeth with your fingers and tongue. These mouth guards are still be pretty uncomfortable and awkward when it comes to fit, although they do fit better than stock guards. 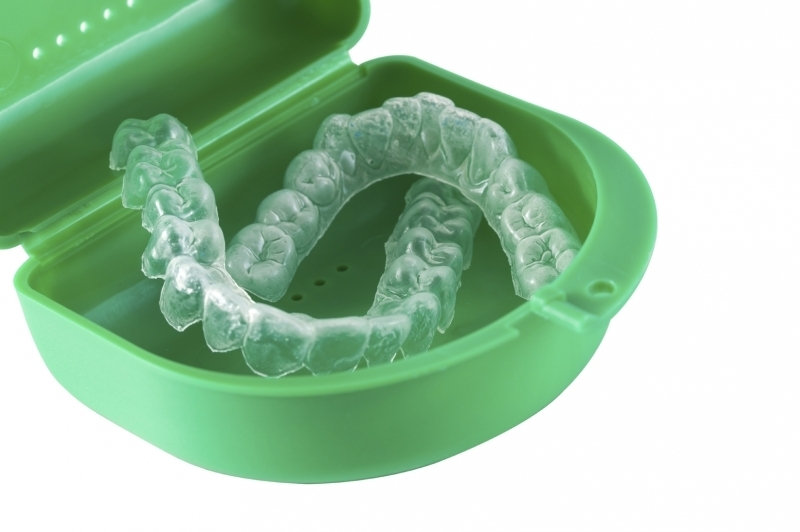 Custom mouth guards are made to fit your mouth specifically, usually at your dentist’s (or orthodontist’s!) office, or at a laboratory based on teeth impressions your dentist or orthodontist make. Because they're made to fit your teeth exactly, custom mouth guards provide the best comfort, fit and protection. While they’re more expensive than the other two options, the benefits when it comes to comfort and safety are worth it. Especially if you wear braces! If you have any questions, or would like to be fitted for a custom mouth guard, contact our team today to book an appointment! Malocclusion is a misalignment of the teeth. It can result in many serious oral health issues, and is generally caused by a combination of inherited and behavioural factors.